Successfully Added W95 Android TV Box - 4K Support, WiFi, Google Play, Kodi TV, Android 7.1, Quad-Core CPU, 2GB RAM, DLNA to your Shopping Cart. 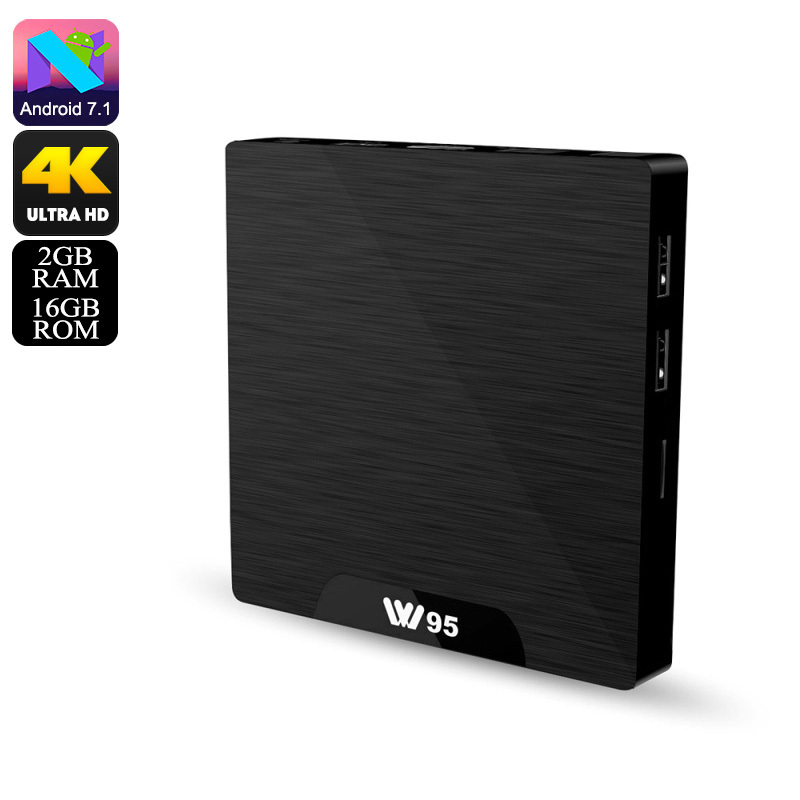 The W95 Android TV Box is the perfect gizmo that lets you enjoy your favorite series and movies during the upcoming holiday season. This Android Media Player supports an Ultra-HD 4K display resolution. Thanks to this, it lets you enjoy all films and series in stunning beauty. From now on, you’ll always be able to enjoy a cinematic experience from the comfort of your own living room. The TV Box furthermore comes with Google Play and Kodi TV Access. This means that you’ll have free access to an unlimited source of free media. Whether it’s games, TV Apps, or movies – nothing is too much for this Android TV Box. With 16GB internal storage and a 32GB SD card slot, you’ll never have to worry about storage for keeping all your latest downloads. Packed within the sleek body of this Android TV Box, you’ll find a sophisticated Quad-Core processor and 2GB RAM. Along with its Android 7.1 operating system, this media player brings along a smooth user experience. You’ll be able to enjoy the latest software features the industry has to offer without ever slowing down your device. Your Android TV Box furthermore supports DLNA for easy file sharing and Miracast. The latter lets you mirror all that’s happening on your Android phone or tablet straight onto your big screen TV. Thanks to its WiFi support, you’ll even be able to browse the web on your television. By bringing the latest Android features into your living room, this 4K TV box makes sure you’ll never have to feel bored again. The W95 Android TV Box comes with a 12 months warranty, brought to you by the leader in electronic devices as well as wholesale Android Media Players..